Let's begin to take a little deeper look into the Exciting Car Showdown that is being held this week-end in Nagoya. I have been covering events here in Japan for close to ten years now but I have never, ever been to one where so many cool cars were on show. Every one deserved a proper in-depth shoot, the selection was really that good. The perfect example is the Mitsubishi GTO in the opening shot. Built by Pit Road M this E-Z15A pumps out 720 PS and a massive 75 kgm of torque from its stroked 3.1L 6G72. I've never been a real fan of these cars but when looking like this, what is there not to like! 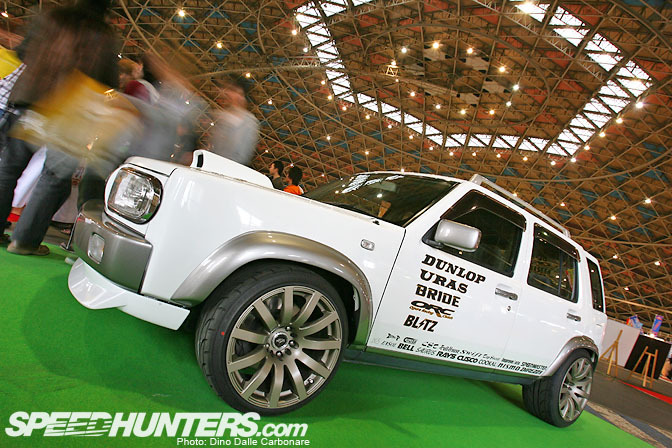 Built by the same people this drag and track Suzuki Kei has been modified beyond recognition. Body aside, the little K6A engine has been stroked to 750 cc and now develops 220 PS, a pretty high output for a car that used to probably develop 50 PS on a good day! That GReddy intercooler redefines the term "front-mount"
I recently saw this Phoenix Power JZS161 in a high-speed feature done by Option Magazine. This is one fast machine, I think it was clocked doing well over 340 km/h, which is not hard to believe once you take a look at the engine. 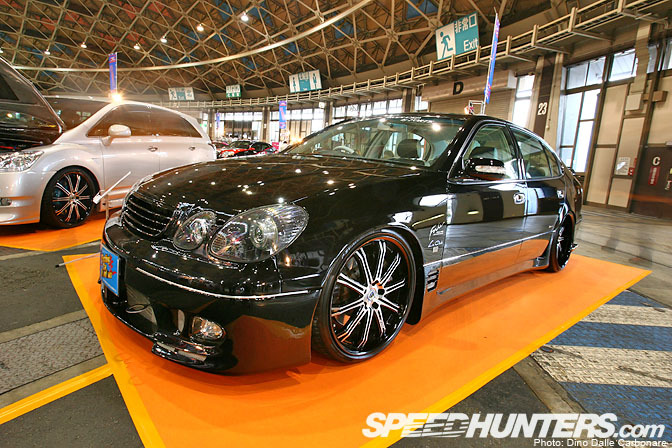 This stroked 3.4L 2JZ cranks out 885 PS and a massive 89.4 kgm, just what you need when gunning it down the wangan. The rather large turbine you see is a Trust T88-38GK, externally gated of course. I'd love to take this thing out for a ride! 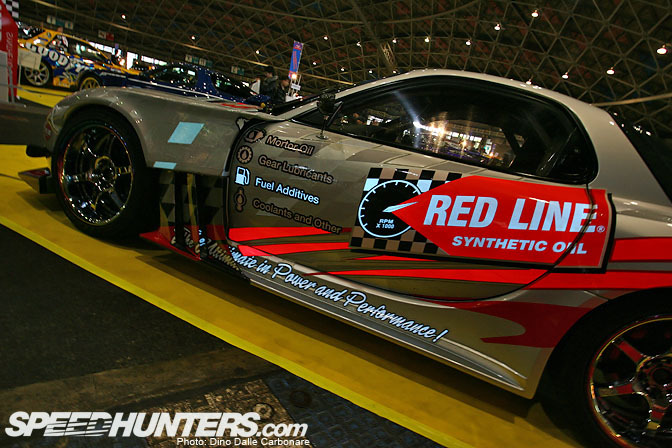 These electroluminescent graphics applied to the Red Line Oil RX7 were the talk of the show. It was really hard to get a picture, hence the underexposure of this shot, but you get the idea. Brought to Japan by ellighting.com these are without a doubt the next big thing. Grant Thom from ELLighting Japan told us they just couldn't believe the response they got at the show. Expect to see quite a few D1 cars wrapped with these EL-graphics, especially for night exhibitions. 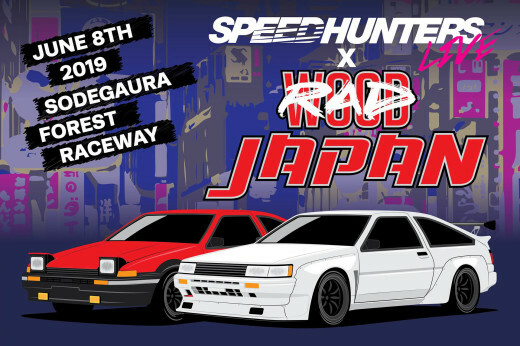 Now that I think of it, how about we get some SPEEDHUNTERS ones made for our cars!! Now that would be cool! CBI Sports built it and they sure didn't forget about the oily bits, as under the hood is an SR20 boosted by an HKS GT-RS turbine. The 18-inch Work VS-K sport a pretty mean lip, especially the 10.5J wide rears. I think this Odyvia deserves a wallpaper. What do you guys think? URAS proudly displayed their Nissan Rasheen project. Sitting on DG5 suspension and EXSOL wheels this, one of Nissan's ugliest ever creations, actually begins to look pretty mean. 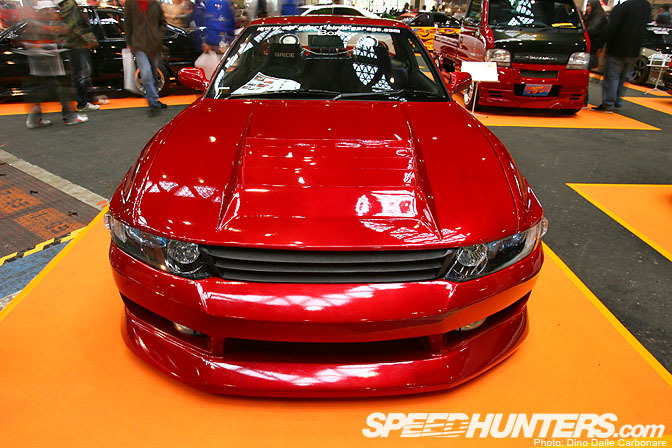 But it's the huge hood scoop that gives things away as the NA SR20DE has been replaced by an SR20DET from an S15, and mated to a Blitz KKK K3 450R turbine. 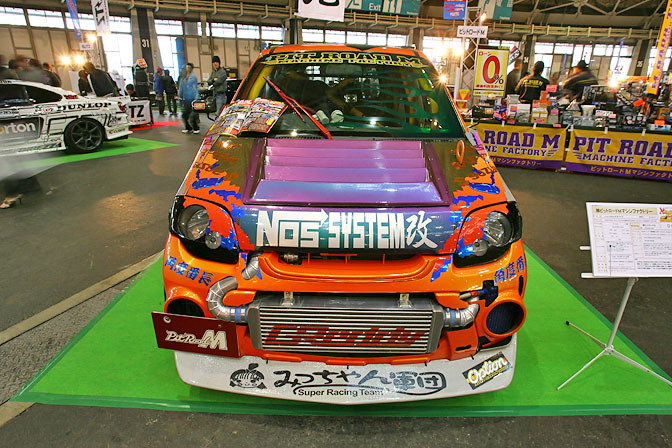 Notice the odd position of the intercooler. 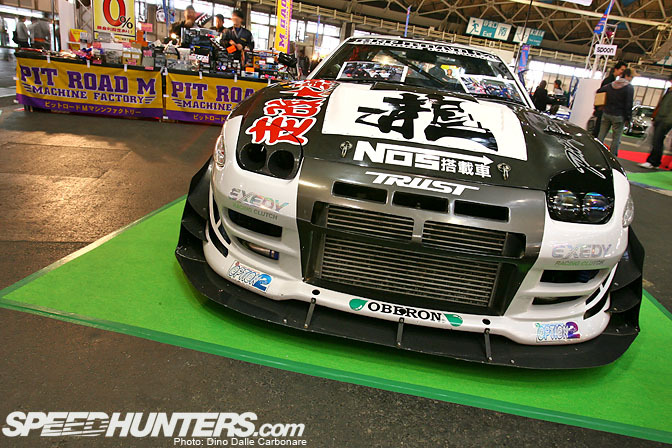 With 400 PS it's no surprise that Nomuken has been enjoying drifting this around! Shows like this would be incomplete without presence from personalities. 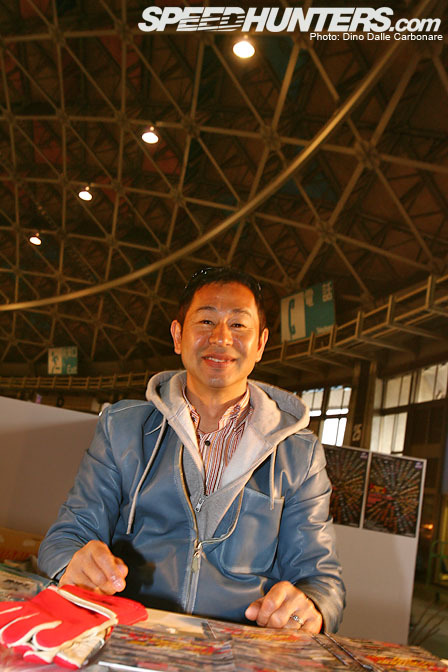 Here is Keiichi Tsuchiya sitting at the main information booth where he was signing autographs for people as well as openly chatting. 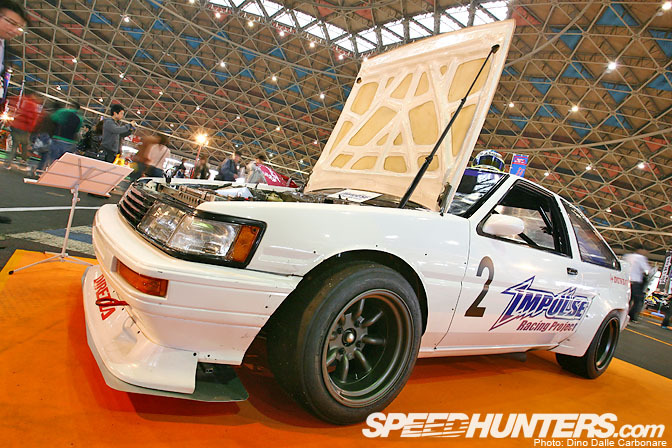 For lovers of the AE86 here is the Impulse Levin demo car, running on RS Watanabe wheels and Dunlop slicks. This N2 special, sporting the obligatory massive overfenders (the fronts were missing for some reason), is mainly used for time attack days at Okayama circuit. The engine bay is a work of art. 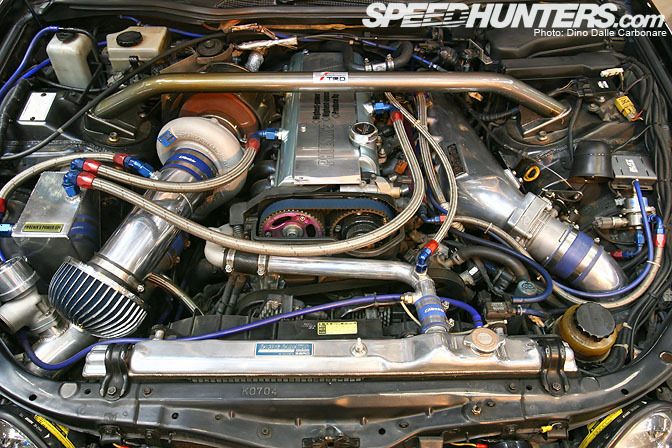 The build is based around an AE92 4-valve 4AG, breathing through Toda Racing individual throttles and sports injection. At a screaming 9,000 rpm this little 1.6L motor develops 213 PS! It sat so close to the ground with the top of the wheels disappearing into the rolled arches. The side exit exhaust is something I've never seen before, a bit too SUV-ish for me, but still something different. 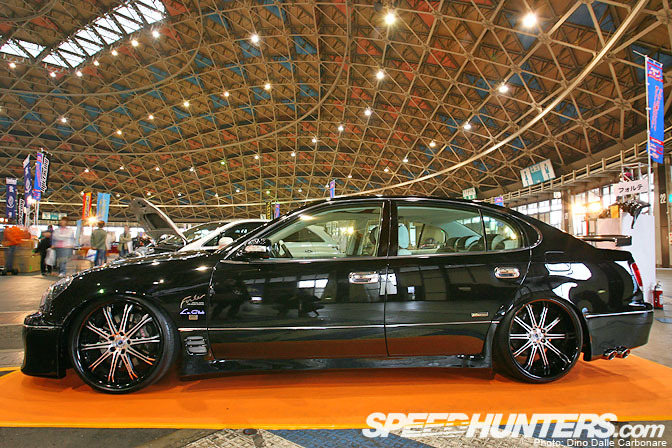 More to come from the Port Messe in Nagoya, so stay tuned! Cars look sweet, would be cool to see those graphics in person. Wallpaper for the Odyvia would be cool. 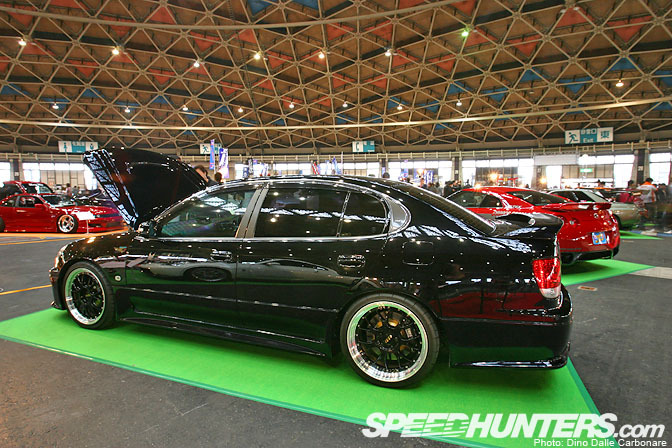 That Wangan JZS161 is my favourite. Anyone here into sport bikes?? Excellent photography as always... Man, can't beleive i missed this event. Suzuki Kei looks beast!! haha..
That 340km/t JZS161 is sweeet. Not a fan of the Odyvia though. It's about time the GTO's get some love. I love these cars and I bet that they can hang with some of the meanest Supras and Skylines around. Wow, amazing photographs. Damn I wish I could be there. The Odyvia really needs to be on my desktop, wallpaper would be great I would like to see it with faded paint, scratches, zipties and bumps, it would look even more mean. 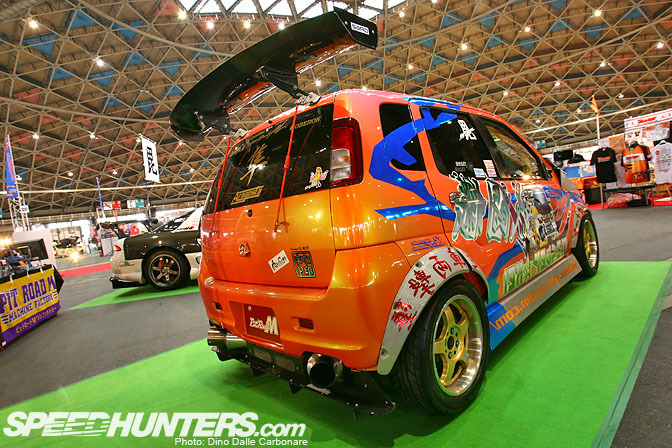 The Suzuki Kei looks a bit overstyled, to say the least, heh. I love the simple ingenuity of the scoop to direct the air to the 4AG's ITB on the N2 Levin. I lol'd at "Mortor Oil" on the side of the Redline RX7... haha. Love the engine bay on that Levin! 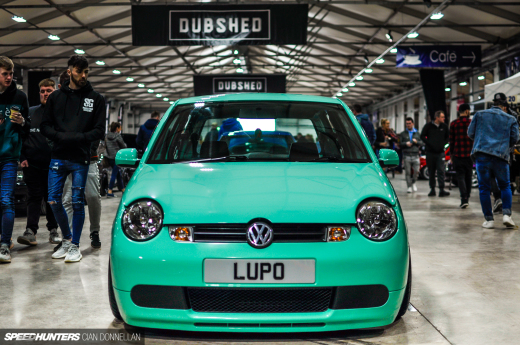 Absolutely immaculate! That was my EL RX-7 Pictured, we also had another car there but this one sure was a crowd favourite. Malcolm mate 10 points for noticing the MORTOR OIL lol, there has been thousands of people view that car sine the wrap was installed last week and you are the first one to say anything.. I will get your details of Dino and send you some EL decals over.